Scores of pros have used this workout to elevate their game. Now you can too. 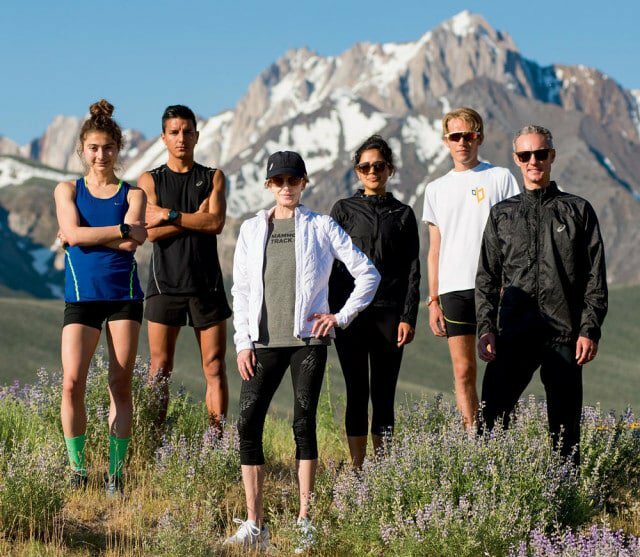 The whistle shrills a few times, and Coach Andrew Kastor shouts, “Line ’em up!” The Mammoth Track Club – including American marathon record holder Deena Kastor and Greek 10 000-metre Olympian Alexi Pappas – finishes their warm-up. It’s Friday, which means the workout is a long tempo run – and that means they’re on the legendary ‘Green Church Road’. Larsen founded the group in 2001. Green Church Road meets those standards – and offers a wide bike lane to keep pacers and runners safe. Deena, Keflezighi, and Ryan Hall trained here prior to the US championship and record-breaking races. Before Keflezighi left for the Athens Olympics, his bike pacer gave him a chunk of asphalt from the road as a good luck charm. It worked: Keflezighi returned with a silver medal. The road has hosted workouts ever since. Because the run is structured to allow the whole team to finish at about the same time, the women line up while the men spend a few more minutes shaking out their legs. Saudi Arabian Olympic marathoner Sarah Attar sets off first, pushing the pace as she fades into the distance. As Deena and Pappas approach the line, Deena looks over her shoulder at her male teammates, the jagged peaks of the Eastern Sierra behind them. “Catch me if you can,” she says, and takes off. It teaches your body how to process the byproducts of a hard effort, and your mind how to handle prolonged discomfort. Weekly, gradually increasing the distance until you begin tapering for your goal race. Reduce mileage every third week for recovery. Run 3km to 5km with the group at an easy pace to warm up, and then perform strides and drills. Determine about how long it will take each runner to complete that day’s distance, then stagger the start so everyone finishes around the same time. Run at a hard but sustainable effort as you focus on catching the runners in front of you and evading those behind you. High-five your friends, then run three to five easy kays to cool down.